In fashion’s ever changing landscape, Serenella, Boston’s leading specialty boutique, upholds its iconic status and pays homage to women who view fashion as a lifestyle. Meticulously curated under the practiced eye of owner, Leslee Shupe, Serenella is known for elegance and sophistication, but with an on-point vibe that’s always current. For 37 years Serenella has been the cutting edge destination for fashion, looked to by A List insiders for its on-point mix of leading designer collections from around the globe. With her finger is on the pulse of worldwide trends, Leslee has made Serenella a key influencer in style. Shupe has been dubbed a force in fashion by setting the next style trends with ingenious sourcing and refined editing of fashion talent. 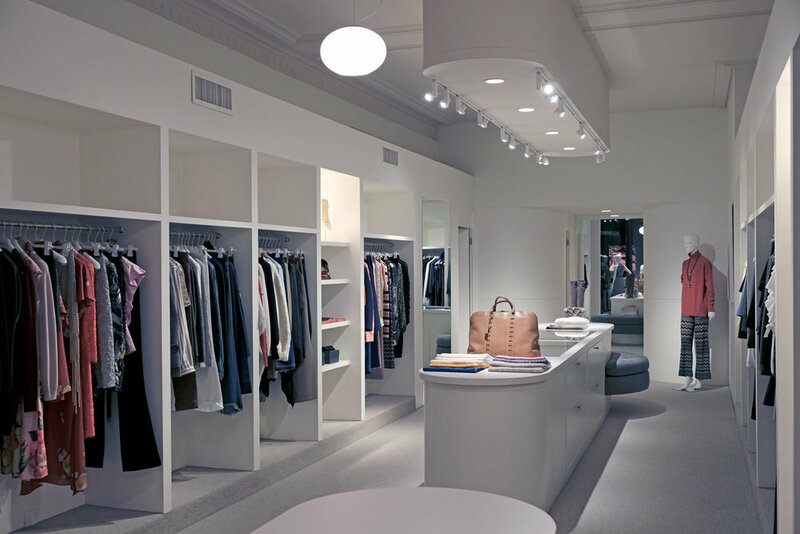 Consistently voted Best of Boston and heralded by Elle Magazine as one of the top 50 boutiques in the world, Serenella is always chic and refined. The serene gallery, with its exquisitely simple and welcoming ambiance, showcases inspired designs, both modern and classic, with collections from the crème de la crème of designers around the globe. Leading luxury houses like Bottega Veneta to Giambattista Valli, and artful Missoni and Roberto Cavalli, to today’s innovative front runners including Magda Butrym, Attico and Erdem.